With a few taps of her fingertips and one computer click, UC Berkeley sophomore Cassie Xiong projected onto the screen an extensive list of letters and other documents from the Free Speech Movement at Berkeley. 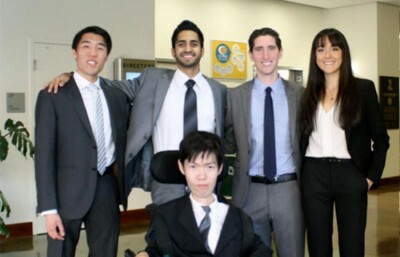 Scrolling through the files, Xiong demonstrated the simple accessibility of the winning website she and her teammates created through a 12-day, interdisciplinary hackathon competition celebrating the upcoming 50th anniversary of the Free Speech Movement. Going against the typical 24-hour nonstop hackathon format, #HackFSM, hosted by Digital Humanities at Berkeley and Bancroft Library, encouraged participants from a variety of academic backgrounds — such as Xiong, an interdisciplinary studies major in the College of Letters and Science — to participate and create a website for people to better access Bancroft Library’s Free Speech Movement Digital Archive. The campus’s first humanities-based hackathon event accommodated 10 groups with 30 to 40 undergraduate and graduate students participating in total. All registered groups were required to have at least one humanities and one computer science student. #HackFSM’s goal was to have humanities majors and programmers work collaboratively in groups to devise a new interface for the general public to access digital documents relating to the Free Speech Movement. As a humanities major, Xiong teamed up with sophomore programmers Alice Liu, Craig Hiller and Kevin Casey, working every night until midnight to develop the website that ultimately claimed first place in the competition. Possessing a minimalist, two-toned design, the winning interface — which may eventually replace the university’s current FSM archive interface — allows researchers to access text, image and audio sources with just a few clicks. “I didn’t know what they were talking about 90 percent of the time, but it definitely gave me an appreciation for EECS and CS,” said Xiong, whose success with #HackFSM marks her first completed hacking event. A growing field, digital humanities combines computational methods and digital technology and applies them to traditional humanities disciplines, though definitions of the digital humanities varies, according to Andrea Horbinski, a graduate student studying history and media who helped organize the event. Horbinski added that, with the increasing role technology plays in the humanities, finding data is much easier, though researchers themselves are still required to think about the data and analyze them, which is where the humanities aspect comes in.